Everything’s “smart” anymore, except the dummies that use them. This is a reference to all of the so-called smart devices on the market designed to make our lives easier. They basically think and act for us so we don’t have to remember anything anymore or get off the couch to adjust dials, switches or look anything up. All we have to do is swipe, click or speak and something somewhere comes on, shuts off, or answers our questions for us. Soon we’ll be lumps of useless clay, but our lives will be more convenient — as long as we have a power source and the Internet. Don’t get me wrong: the ease with which we can conduct our lives now is amazing, and much of it has to do with mobile devices and apps. While a lot of this technology is not cheap, a group called Kasia has come up with a smart home system that is not only cost effective but customizable to your particular lifestyle and needs. 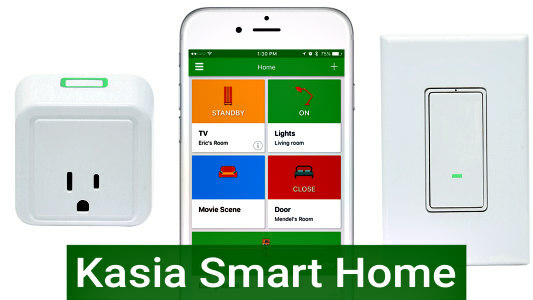 All it takes is some Kasia smart home paraphernalia (switches, plus, tags), their accompanying app, and the Internet and you’re all set. It’s not necessarily new technology, but it’s more affordable technology. 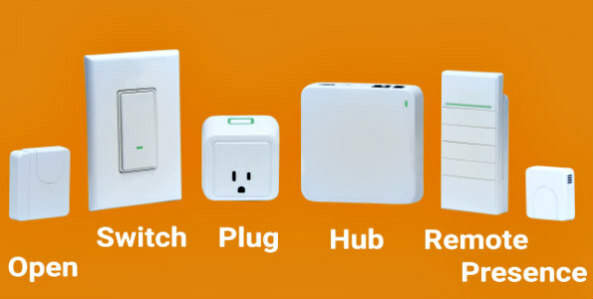 With Kasia’s smart home system users can remotely or locally monitor and managing their lights and various devices through the mobile app, a programmable remote, or a computer and get notifications when lights or outlets are activated or in the on position. No more wondering if you left the coffee pot, curling iron, or TV on and doubling back home to check. Even if they are, you can control them. Another nice thing about this is it basically acts as a snooping device as well. If someone enters your home and starts clicking on lights, TVs, or computers you’ll know it. Another cool feature is called smart presence. Touted as the first of its kind, Kasia’s integrated smart home presence system allows your humble abode to “react to you” as you move throughout the house via the installation of BLE tags. The tags act like motion detectors to your movements as you enter and leave a room and will in turn switch lights and other smart devices on and off as you come and go. No more fumbling for switches in the dark or having to go back and shut things off. This is especially handy if you have kids with no concept of what it’s like to pay a power bill. Users of the smart home system can also program it so you can readily set up and adjust schedules for lights and devices to turn on and off when you want them or really need them based on sunrise and sunset times. This feature can save you money on energy consumption so you’re not wasting resources and cash unnecessarily. By doing so you can also give the appearance of somebody being home when you’re not, thus deterring burglars. The Kasia system has been supported on Kickstarter and is currently available on Indiegogo for pre-orders, if you’re interested.